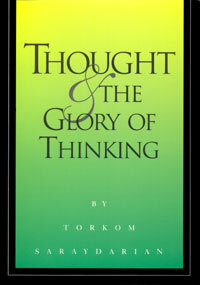 Thought and the Glory of Thinking is an extraordinary book on the process of thinking, the mind, the brain, and the subtle links to our thought process. It is a detailed study of the entire physical, emotional, and subtle chemistries that play into the mental process. When you want to make real changes in your life, your mind and thinking process is the first place to start. By reading this book, you will understand the subtle organization of the mind, the energies that affect it, and how to train your mind to be able to contact the mysteries and treasures of the Subtle Worlds. "Our future is built by our own thoughts. Not only our physical body but also our future activities, our future positions, our future talents, our future victories and achievements -- all are built in the little, little thoughts that have been accumulated throughout the ages. They become huge and influential, and eventually they show us that whatever we thought, that is what we are going to see with our eyes." "The Science of Thinking gives man the keys to open all the mysteries of Creation. As man creates integrity within himself, enabling his nature to think harmoniously, in the same way must the nucleus of a nation or of humanity create integrity until all men and women in the nation think in harmony with each other for a supreme goal, for each and for all."